When I first got my 3D printer, I didn't know anything about how it worked. I read a few articles and getting started guides, but I felt pretty lost. There was a lot of 3D printing jargon that made it hard to make my way all the way through any article about 3D printing. I felt like I was reading a foreign language. I trudged along and researched what each new word meant in the context of 3D printing, and I've collected much of what I've learned here. 3D prints sometimes have trouble adhering to the print bed. 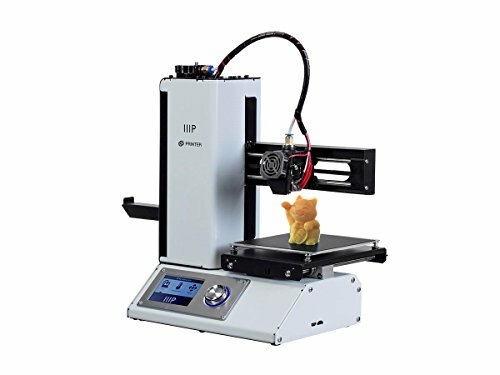 On the Monoprice MP Select Mini, or any printer where the print bed moves, this is a problem because the material that had already been printed will move with the print head instead of the print bed if the print loses adhesion to the print bed. On other printers, the edges of the print can curl up. In either case, the print will be ruined and valuable printing material wasted. This cute dragon was printed with a raft and manually created supports. Rafts are a couple of additional layers that are printed before the actual print that give the print a flat base to print onto. The idea is that on complicated prints, a raft will help to prevent the base of the print from curling or coming off the print bed and ruining the print. Rafts easily snap off the base when it's done printing. Here's what that cute dragon looks like after removing the supports (front left) and raft (front right). Much better! Supports are additional vertical sections that are printed undeneath any parts of the print that are not directly supported by the rest of the print. These areas that do not have any support in the print itself are called "overhangs". Overhangs are a problem because if the filament doesn't cool immediately, then it can sag without any support. When you print with added supports, the extra sections of material will hold up the print and they can be easily snapped off after the printer is completed. 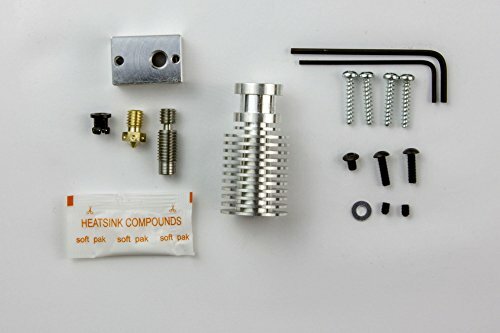 The hot end, or hotend, is the part of the 3D printer that gets hot and melts the filament. It includes the nozzle, I think. Anyway, hot ends eventually clog because the filament going through the hot end is sometimes dusty. That dust can get lodged in the hot end and clog it. When that happens, sometimes it's possible to clear the clog, but other times you'll just have to replace the hot end. On My Monoprice MP Select Mini, the first thing I printed was a hot end adapter so I could replace the hot end with an E3D HotEnd when it finally gets clogged. The surface that the 3D print is printed onto is the "print bed". As the plastic cools, it shrinks and becomes less adhesive. This can cause problems when your 3D print detaches from the print bed and causes your 3D print to fail. To prevent this from happening, a heated print bed warms up to about 50°C. That way the printed plastic remains fairly close in temperature to the freshly printed plastic on the top layer and the whole print cools at the same time. By making sure each layer is close in temperature to the layers above and below it, we can ensure that each layer shrinks at the same rate and doesn't pull away from any other layer. Are there any other common 3D printing terms that I missed? Let me know in the comments!